Here in Britain at least, cement has been deemed to be part of our heritage, too. Sometimes I feel sorry for optimistic Americans touching down in my country for the first time. Fed on the sepia-toned products of Britain’s heritage industry, they arrive expecting twisting country lanes, weatherworn mansions and buildings so ancient that they totter when you slam the front door. They get these eventually, of course, but first impressions after London Heathrow are actually of sprawling highways, glass-clad tower blocks and lots of concrete. Still, concrete is part of Britain’s heritage, too—an official part, in fact. 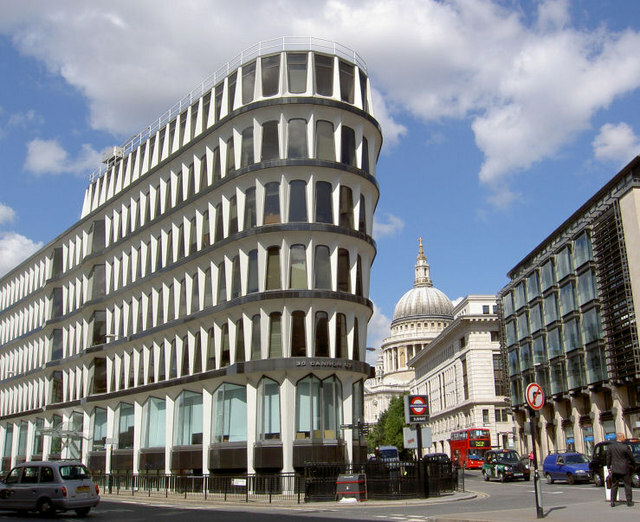 This week, English Heritage (the conservation body that oversees England) listed 14 late 20th century office developments as historic monuments. The buildings, all constructed between 1964 and 1984, will now be protected from summary demolition or insensitive remodeling, standing as examples of the best architecture of their period. 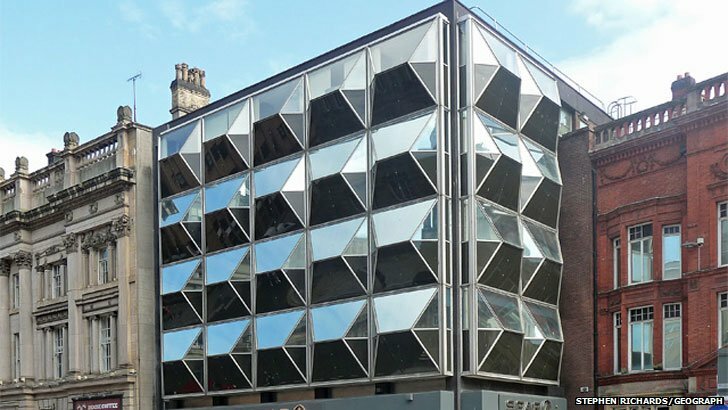 They include this 1973 London Flatiron, this muscular Richard Rogers-influenced office built in 1984, and this 1971 Liverpool bank building that resembles a modernist Christmas tree bauble. 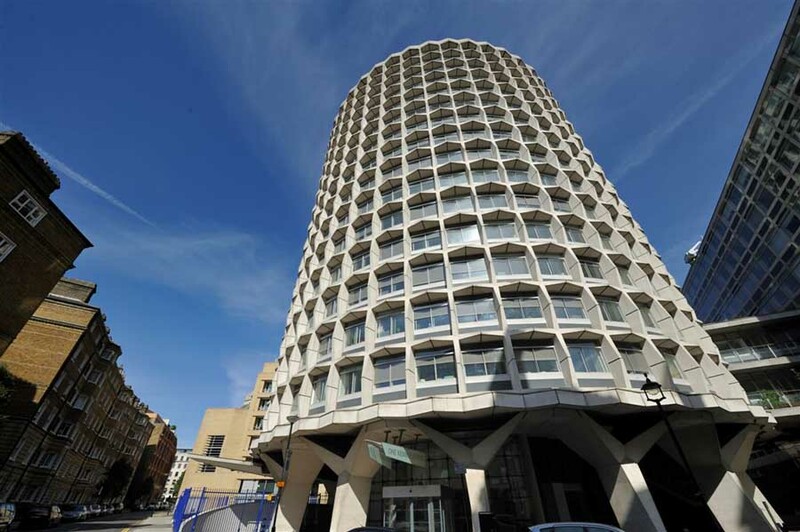 The buildings are mainly built on a small scale, though Birmingham’s wedge shaped Alpha Tower and this London building that looks like a hair-roller have also made the cut. 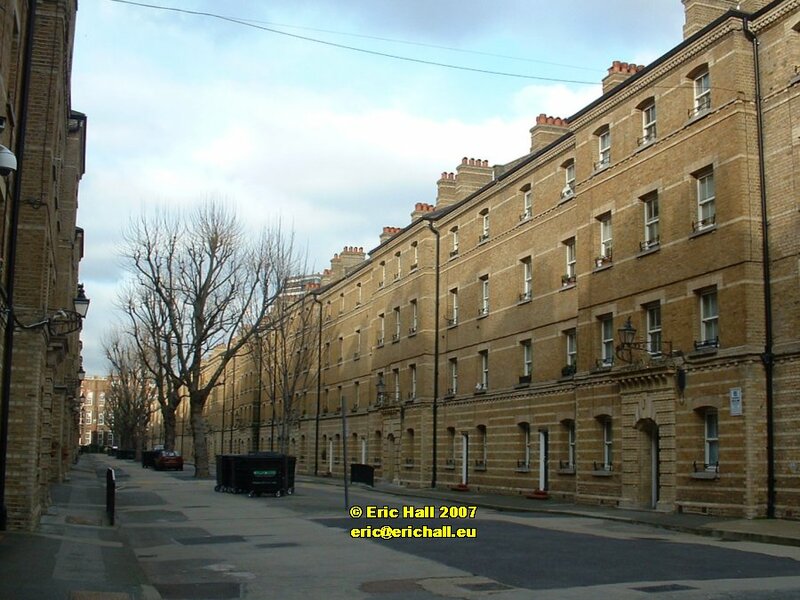 They all have their unique something, no doubt, but given the period’s architectural unpopularity, are they really worth preserving? The buildings being spared might seem extremely modest, even provincial. He’s right. Many important late modernist buildings in the U.K. have already been felled like bowling pins in recent years. In 2010, Britain lost the Trinity Square car park and shopping mall, a stunning Brutalist construction that had dominated the skyline of Northeast England’s Gateshead like a huge dinosaur skeleton since 1967. Not an obvious candidate for public architectural sweetheart, the structure was nonetheless made famous by this scene in cult Brit crime flick Get Carter (trigger warning: shows death by being pushed off a Brutalist car park). That didn’t halt its demolition to make way for this development (paywall) nominated last year for Britain’s Carbuncle Cup, an award for the country’s ugliest new buildings. There have thankfully been some notable saves, too. 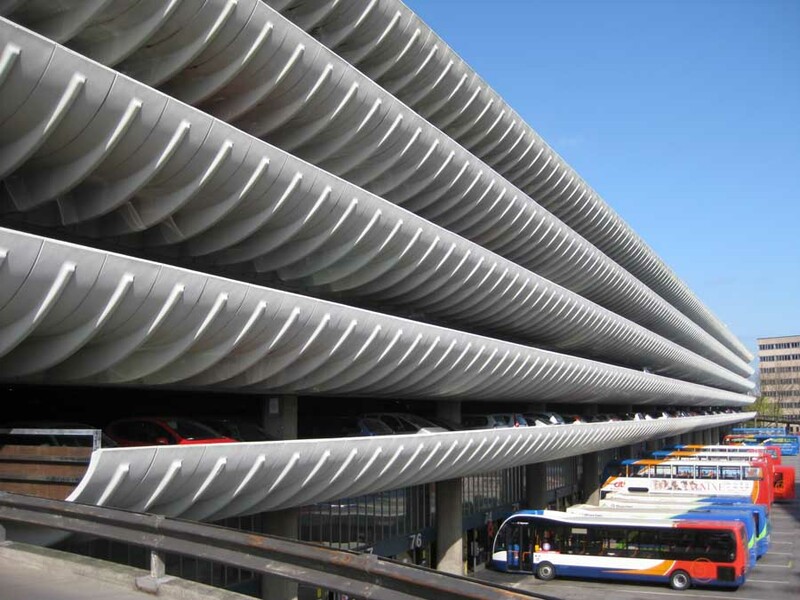 In 2013, the wonderful Preston Bus Station, with its curved balconies like layers of whale baleen, was rescued at the last minute from being pounded to powder. It’s good that we’re preserving some of this period’s better architecture, but from outside the country, it could also look a little weird. Compared to landmarks going up in North America at the same time, the buildings being spared might seem extremely modest, even provincial. That could partly be the point—the buildings are supposed to be representative of their country, after all. England’s modern architecture is what you’d expect for somewhere located on a small, already heavily built-up island. In a world supposedly now dominated by an international style, what’s striking is how very British these buildings often appear. While some are visionary, others look curiously Victorian. Liverpool’s former Midland Bank, for example, makes clear reference to this groundbreaking Liverpool building from a century before. And why shouldn’t it? The cradle of the industrial revolution also has a longish tradition of hulking mills (like this one at Saltaire), minimal warehouses, and housing that, when built, would have seemed shockingly blank but which is now treasured even by conservatives. Abandoning their later stylistic inheritors to the wrecking balls would end up leaving the country’s architectural heritage a gap-toothed smile at best. Sure, we may have a long while yet (or maybe forever) to wait before visitors touch down in search of quintessentially English rain-streaked cement and protruding steel frames. But this is our heritage too.